“Things to do on a Tuesday night,” as I was reading this article on USA Today that mentioned how “weekday nights are a good time to experience what the city has to offer” I realized that my calendar has a one of a kind event marked down for next Tuesday, January 10th, when Tredici Bacci will be playing a showcase at The Standard East Village Penthouse (25 Cooper Square). The concert, which is free of charge as long as you RSVP at [email protected], has already been defined “an Italian soundtrack-obsessed evening of music” led by a 28 year old classical composer and punk rock guitarist named Simon Hanes. Simon’s obsessed with all things Morricone, Spaghetti Western, and classic Italian film soundtracks from the 1960’s/1970’s. 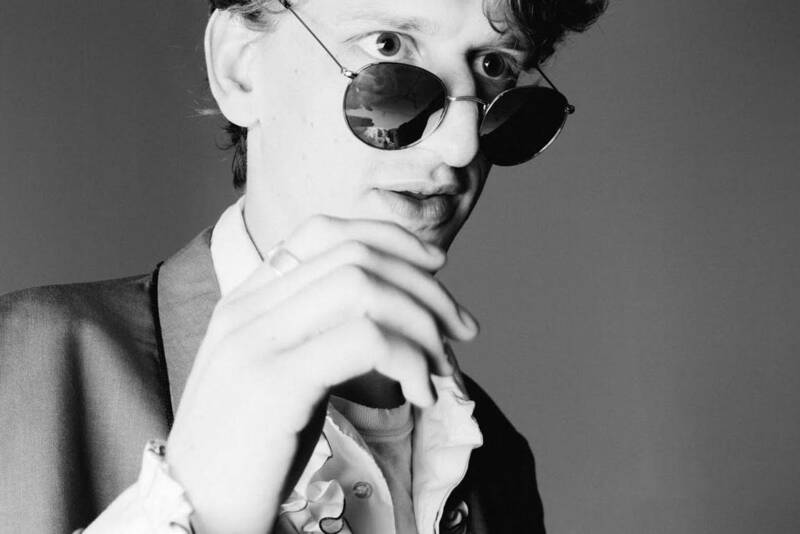 Over the last few years, Simon has worked tirelessly to channel his deep love and infatuation with 1960’s/1970’s soundtrack music into his own personal vision and homage to the style through dedicated songwriting, and the integration of the totality of his musical influences. 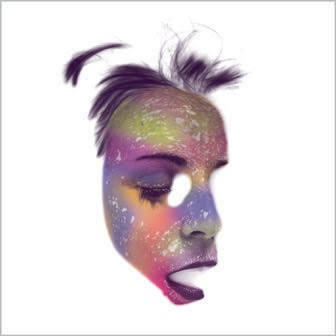 After graduating from the New England Conservatory and spending time playing bass in the then-Boston-based No(ise) Wave unit Guerilla Toss, Hanes started working as an arranger, composer, conductor, and guitarist, and went on to assemble a band of epic orchestral proportions. 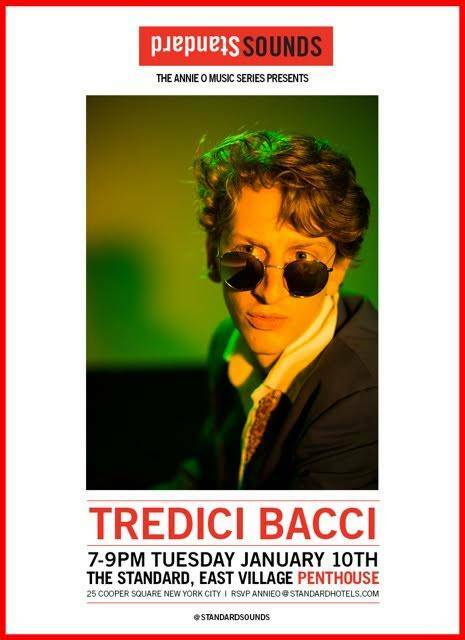 But let's learn more about Tredici Bacci directly from him. You've been inspired by 1960/1970 soundtrack music. Are there any specific films and scores that have influenced you the most and why? “I’d like to take a trip down memory lane if that’s alright, to the early days. In the house where I grew up, the heating system was as such that there was a vent on the floor, in the corner by the kitchen table - this was my happy place every winter. I remember distinctly a very specific day - having just acquired a CD copy of the soundtrack to The Good, The Bad, and The Ugly - sitting on the heater vent, staring off into space, and listening to that music again and again on repeat for weeks to come. But that was quite some time ago, and the years I’ve had to explore since that formative experience have led me to discover hundreds scores that have inspired and influenced my own work. There are two that stand out very strongly in my mind - Bernard Hermann’s soundtrack to Vertigo, perhaps the richest soundtrack to a film ever composed, in terms of harmonic language, orchestration, and emotional content - A real masterpiece! The other is Nino Rota’s score for Juliet Of The Spirits, which will come into discussion more later - Rota’s work, particularly for this film, contains a very specific kind of magic, an imaginary ensemble of pawn-shop organs, surf guitars, squealing winds and operatic voices, supported by an incredible amount of orchestrational know-how. You particularly like Morricone, have you ever met him or seen him play? What would you tell him if you had the chance to speak to him. How was Tredici Bacci created and where does the name come from? Aside for film composers are there other Italians that have inspired you? Amore per tutti is a reference to Fellini. Tell us about your Nessun Dorma and collaborating with other musicians, in this case with Vincenzo Vasi? 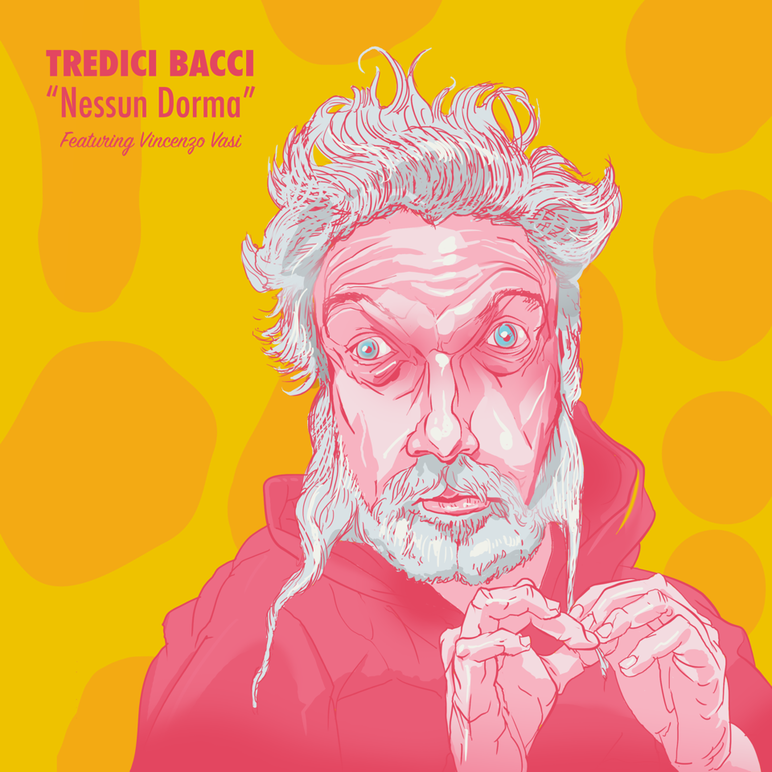 Click here to listen Tredici Bacci "Nessun Dorma (featuring Vincenzo Vasi)"
February 3 TREDICI BACCI PLAYS AMORE PER TUTTI W/ SPECIAL GUESTS! Featuring Jg Thirlwell, Charlie Looker, Ryan Power and more! February 4 TREDICI BACCI PLAYS MORRICONE, ROTA, TROVAJOLI, THIN LIZZY AND MORE! February 5 TREDICI BACCI PLAYS CONTEMPORARY WORKS!